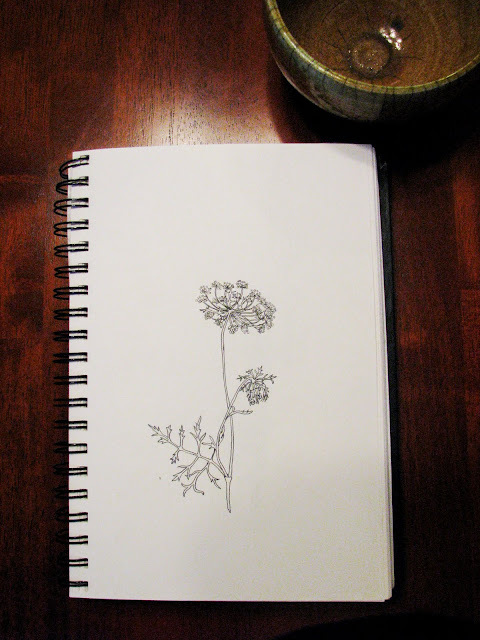 Queen Anne's lace drawing next to my favorite Raku bowl. These sketchbook drawings were inspired by two of my favorite blogger artists. Geninne's Art Blog is so colorful and whimsical and it makes me happy every time I go to her site. And Bookhou at Home is a site by one half of a husband /wife artist team whose work is so simple, clean and comfortable. Take a look at their blogs too!